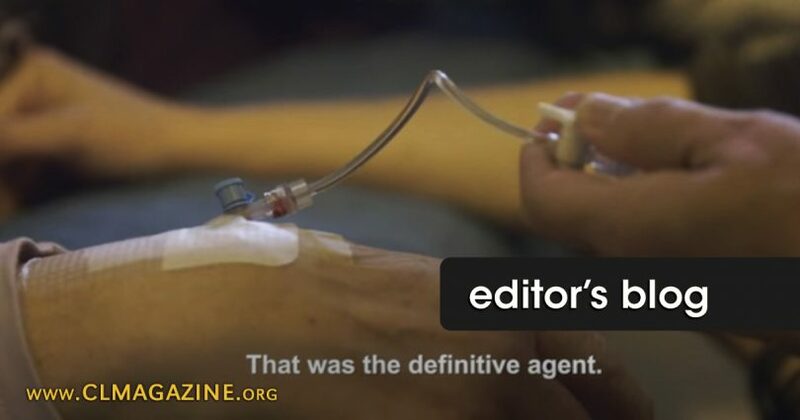 Season 4 Episode 39 of the HBO newsmagazine series Vice is called Right to Die. The episode centers mainly around Antoinette Westerink, a woman in the Netherlands who has been diagnosed with a personality disorder and thus requested euthanasia. The episode ends with Antoinette receiving a series of injections and dying…and no, it is not a dramatic reenactment. The documentary offers itself as an unbiased look at the euthanasia debate, but I think that’s hogwash for at least two reasons. (1) Though not stated directly, the tone sets the stage for considering euthanasia as merciful and compassionate, and (2) the host of the show and camera crew are present in the room at the end when Antoinette Westerlink is murdered. All the documentaries in the world cannot change the truth, and the erroneous judgments misguided souls make, even in good faith, cannot change reality. “The error of judgment into which one can fall in good faith does not change the nature of this murderous act, which must always be forbidden and excluded” (CCC 2277). Euthanasia is neither true compassion nor authentic mercy; killing “to eliminate suffering constitutes a murder gravely contrary to the dignity of the human person and to the respect due to the living God, his Creator” (CCC 2277). Are not two sparrows sold for a small coin? Yet not one of them falls to the ground without your Father’s knowledge. Even all the hairs of your head are counted. So do not be afraid; you are worth more than many sparrows (Matthew 10:29-31). This is precisely why euthanasia for human beings is wrong in every circumstance. You are made in the image and likeness of God and are worth so much more than many sparrows.